It is widely acknowledged that the acquisition of vocabulary is the foundation of learning English. With the rapid development of information technologies in recent years, e-learning systems have been widely adopted for English as a Second Language (ESL) Learning. However, a limitation of conventional word learning systems is that the prior vocabulary knowledge of learners is not well captured. Understanding the prior knowledge of learners plays a key role in providing personalized learning, which many studies suggest is a successful learning paradigm for vocabulary acquisition, one that aims to optimize instructional approaches and paces by catering to individual learning needs. A powerful learner profile model which can represent learner’s prior knowledge is therefore important for word learning systems to better facilitate personalized learning. In this article, we investigated various methods to establish learner profiles and attempted to determine the optimal method. 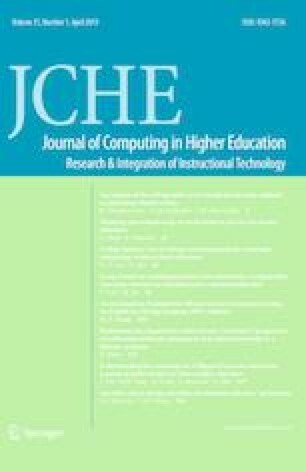 To verify the effectiveness of personalized word learning supported by the proposed model, ESL students from several universities participated in this study. The empirical results showed that the proposed learner profile model can better facilitate vocabulary acquisition compared with other baseline methods. The work described in this article was fully supported by the Standing Committee on Language Education and Research (EDB(LE)/P&R/EL/175/2), the Innovation and Technology Fund (Project No. GHP/022/17GD) of the Innovation and Technology Commission of the Government of the Hong Kong Special Administrative Region, and Eastern Scholar Chair Professorship Fund (No. JZ2017005) from Shanghai Municipal Education Commission of China. A preliminary study was published in the International Conference on Blended Learning 2018 (Wang et al. 2018), and this article has been thoroughly re-written after we studied new research questions, conducted extensive experiments, obtained new findings and found new implications. Di Zou is the corresponding author of this article.